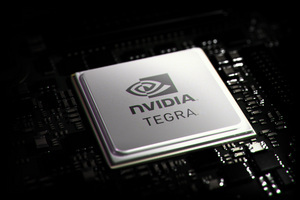 Certain statements in this press release including, but not limited to, statements as to: the impact and benefits of NVIDIA Tegra in the Honda Connect infotainment system; the availability of the 2015 Honda Civic, Civic Tourer and CR-V; and the expected number of NVIDIA processors in vehicles over the next 5 years are forward-looking statements that are subject to risks and uncertainties that could cause results to be materially different than expectations. Important factors that could cause actual results to differ materially include: global economic conditions; our reliance on third parties to manufacture, assemble, package and test our products; the impact of technological development and competition; development of new products and technologies or enhancements to our existing product and technologies; market acceptance of our products or our partners' products; design, manufacturing or software defects; changes in consumer preferences or demands; changes in industry standards and interfaces; unexpected loss of performance of our products or technologies when integrated into systems; as well as other factors detailed from time to time in the reports NVIDIA files with the Securities and Exchange Commission, or SEC, including its Form 10-Q for the quarterly period ended July 27, 2014. Copies of reports filed with the SEC are posted on the company's website and are available from NVIDIA without charge. These forward-looking statements are not guarantees of future performance and speak only as of the date hereof, and, except as required by law, NVIDIA disclaims any obligation to update these forward-looking statements to reflect future events or circumstances. © 2014 NVIDIA Corporation. All rights reserved. NVIDIA, the NVIDIA logo and Tegra are trademarks and/or registered trademarks of NVIDIA Corporation in the U.S. and other countries. Other company and product names may be trademarks of the respective companies with which they are associated. Features, pricing, availability and specifications are subject to change without notice. NVIDIA Tegra powers the new Honda Connect infotainment system first launching on the 2015 Honda Civic in Europe. 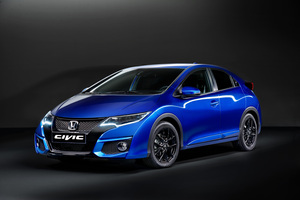 Launching at the 2014 Paris Auto Show, the 2015 Honda Civic for Europe features an all-new infotainment system powered by NVIDIA Tegra. NVIDIA Tegra powers the new Honda Connect infotainment system delivering crisp graphics, fast touchscreen response, and easy-to-use experience like a smartphone or tablet.